September 12, 2018 at 11:13 pm. Both will have later dates with conference and division favorite Alabama — Auburn on Nov. 24 in Tuscaloosa and LSU at home in Tiger Stadium on Nov. 3. Both teams enter 2-0 after posting noteworthy wins over ranked opponents in their openers — Auburn 21-16 over No. 10 Washington and LSU 33-17 over No. 21 Miami — and follow-up routs of FCS foes last week. The two teams have alternated wins on their own turf since LSU ran off a three-win streak that included a win at Auburn in 2012. That would seem to be a point in Auburn’s favor for this meeting. “It is a tremendous advantage to play at home,” LSU coach Ed Orgeron said. “Being a great football team, you have to win on the road. You have to win on the road in the SEC in hostile environments. 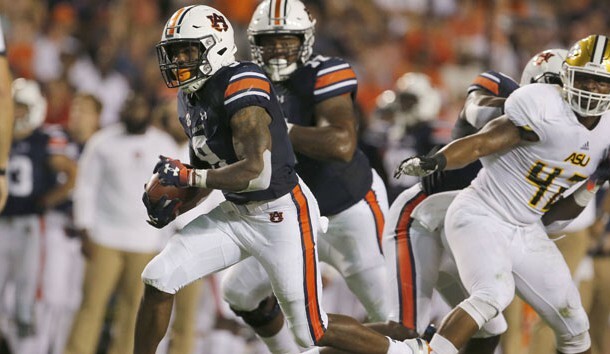 In all, freshmen accounted for 358 yards of Auburn’s 429 rushing total against Alabama State. “There will be a lot of things we have to face this week,” Orgeron said at his weekly news conference. “First of all, we have to fix ourselves.